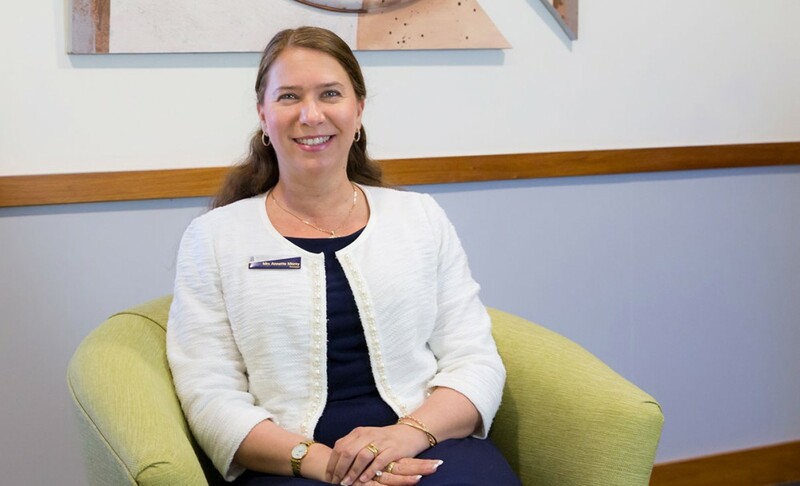 As first term draws to a close I would like to express my appreciation of the hard work of our students this term and the professionalism of the dedicated staff at Mater Dei as they provide numerous opportunities in and out of the classroom for our students to experience a breadth in their education. We have had a very busy and a very successful term with many activities and events in our 25th Anniversary year. In the last newsletter, I mentioned our 25th Anniversary Mass with the many guests and His Grace, Archbishop Timothy Costelloe. I have received very positive feedback from Archbishop Costelloe and Mr Bernie Boss about the lovely community atmosphere at our Foundation Day celebrations. Well done to all students and staff for a wonderful day. It was another proud moment as Principal at Mater Dei! 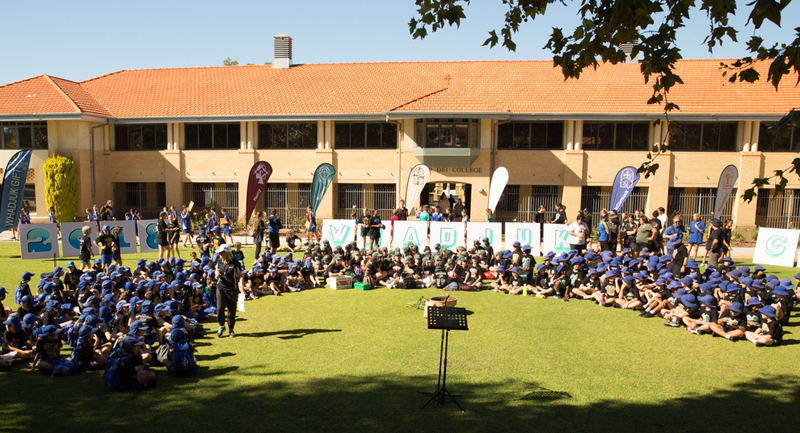 In the past fortnight Mater Dei hosted 350 students from the local Catholic primary schools for a new initiative the “Whadjuk Gift”. 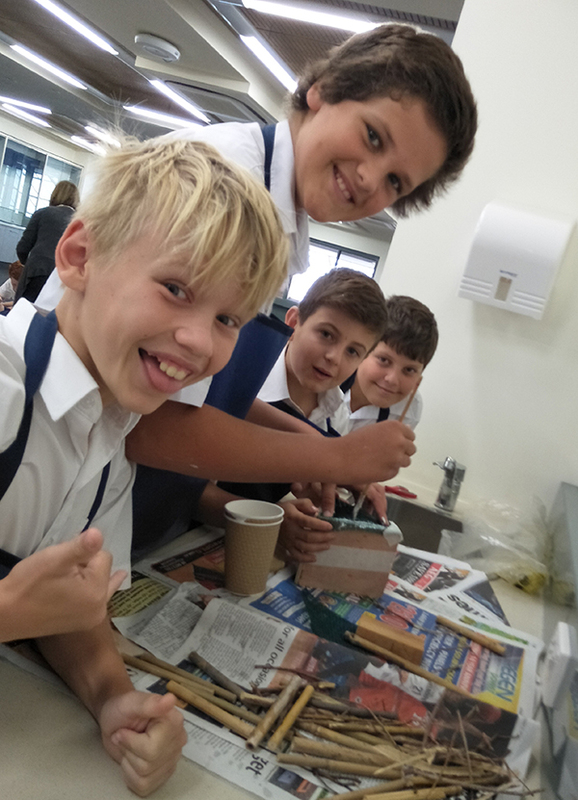 The Whadjuk Gift Project was an idea from one of our very creative staff at Mater Dei, Mr Toby Hurd, Head of Visual Arts and the College PALS Coordinator. Students and staff from: St Anthony’s Wanneroo, St Luke’s Woodvale, Whitfords Catholic Primary School, St John Paul II in Banksia Grove and Francis Jordan in Currambine, were involved in a learning experience for the term researching Whadjuk country and the different nations. Each student designed a T-Shirt and the students from each school wore the different T-Shirts representing the different nations. 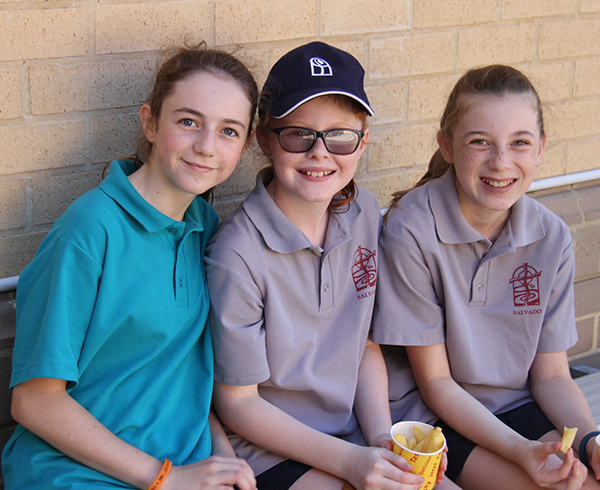 On Wednesday 28 March, the primary school students and a number of Mater Dei student helpers and leaders enjoyed a day of activities and celebrations at our College. It was a fabulous day enjoyed by all. My sincere thanks and congratulations to Mr Hurd, Ms O’Shea and all student helpers. This week, all parents have access to the Interim Reports via SEQTA. Please read the report carefully and I ask that you have a discussion with your child. Please make appointments to discuss your child’s report at the Parent Teacher Interviews on Tuesday, May 1 if any areas of concern have been indicated. It is important we work together in partnership for the benefit of your child’s education. 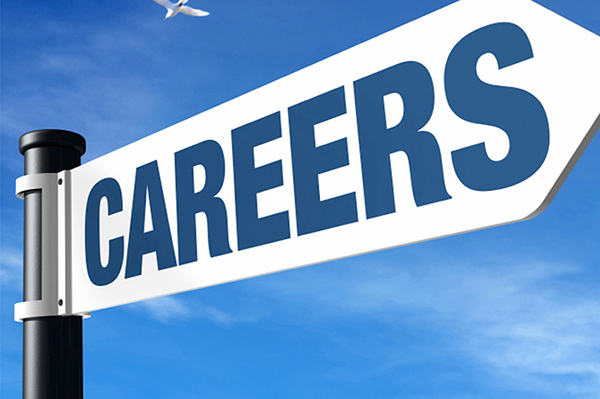 Throughout this term we commenced interviewing for Year 7 2020 enrolments. Please ensure you have lodged an application if your child is currently in Year 5 and you would like them to attend Mater Dei College in Year 7. Last night I had the pleasure of attending the Year 12 Drama Production “Engine”. I hope some families had an opportunity to attend to support our year 12 students. Although it was a very confronting topic, the students were exceptional with their performance. Well done to all students involved and also Mr Marshall. This morning we gathered as a College community for the end of term assembly and an ANZAC ceremony. Thank you to Ms Tatonetti, Head of Humanities and the students for a moving and informative service. Hopefully families have an opportunity to attend a service on ANZAC Day in local communities. The end of term assembly highlighted the number of activities our students have been involved in already this year. Students were presented with their badges for the Vocal Ensemble, Student Representative Council and Whadjuk Gift. The MDC Hawks Captains were presented with their jumpers and the MDC Hawks Girls with the shield from the Dockers Cup. Congratulations to all students and I look forward to more participation and success in Term 2. I wish all families a restful and safe holiday and I look forward to classes resuming on Wednesday 2 May. A reminder that all students must be in full winter uniform, including blazers for senior students. 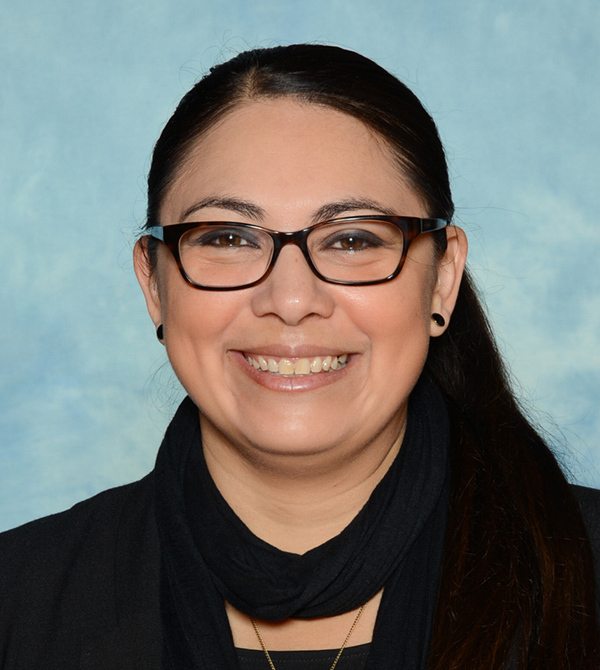 Please remember all students have the opportunity to purchase a blazer this year as we transition to all students wearing blazers in 2019. A reminder to families that next term all students are required to be dressed in winter uniform. For girls, compulsory items include the knee length skirt, white college blouse, opaque navy stockings and tie. For boys, the winter uniform comprises long grey trousers, grey belt, white College shirt, navy blue school socks and tie. Both boys and girls are required to wear black standard leather lace-up shoes. The blazer is compulsory for students in Years 10, 11 and 12, and optional for students in other year groups. All students may wear the College jumper. Year 12 students also have the option of wearing the Mater Dei leaver’s jacket, however, the blazer must be worn on formal occasions such as at Masses and Assemblies. Only College scarves are permitted and students should not mix and match sports uniform items with the academic uniform. 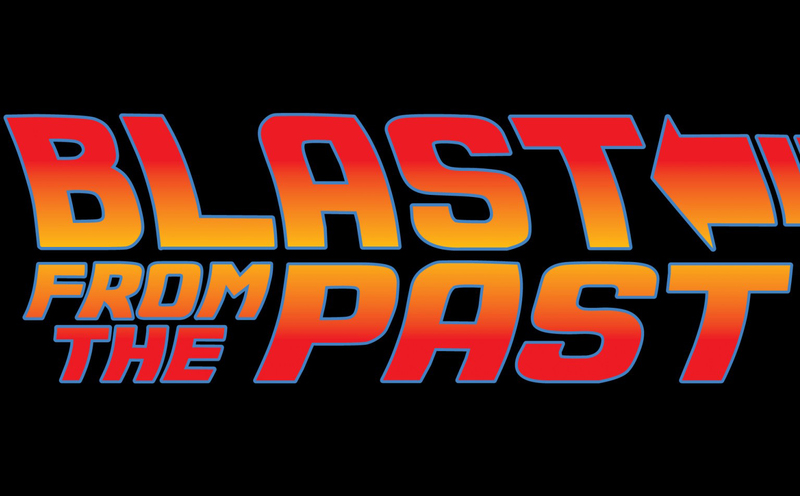 We look forward to seeing all students return to school on Wednesday, May 2 well rested and well presented. Most Year 7 and Year 9 students have now successfully completed their NAPLAN Practice test in readiness for the “real” NAPLAN tests which will take place next term. The tests will run from May 15 - 21. Please do not make appointments for your sons/daughters on these dates. Over the past week students from Years 7- 11 have submitted nominations to become Student Representative Councillors. Student Representative Councillors (SRCs) are students who are responsible and trustworthy and have a genuine interest in the school and the students. They will work with other SRCs and the Student Leadership Team representing the students in their year group, presenting students’ ideas and opinions at the regular SRC meetings that they will attend. 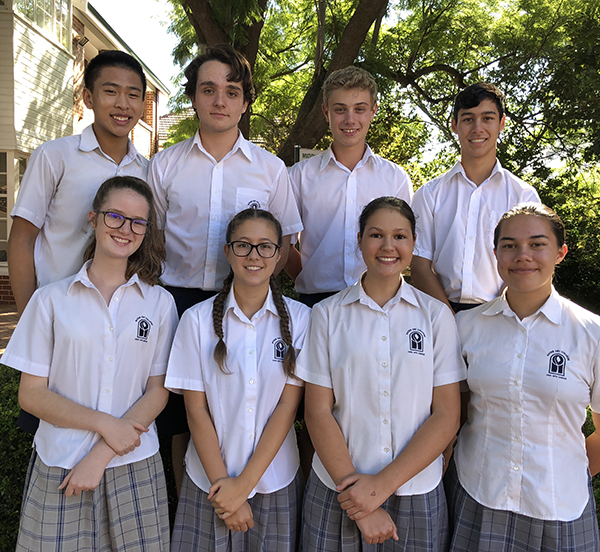 The Student Representative Council is led by the Head Boy and Head Girl and also comprises of the Year 12 Student Year Leaders. This team will be actively involved in the decision making and organisation of College activities. Thank you to the many students who applied to become SRCs, the applications were of a high quality but only two students from each year group could be chosen to be a part of this team. The Mater Dei Administration Office will be closed for the first week of the school holidays and will reopen on Monday, April 23 between 9am-3pm. Please note, Wednesday, April 25 is a Public Holiday observed for ANZAC Day. 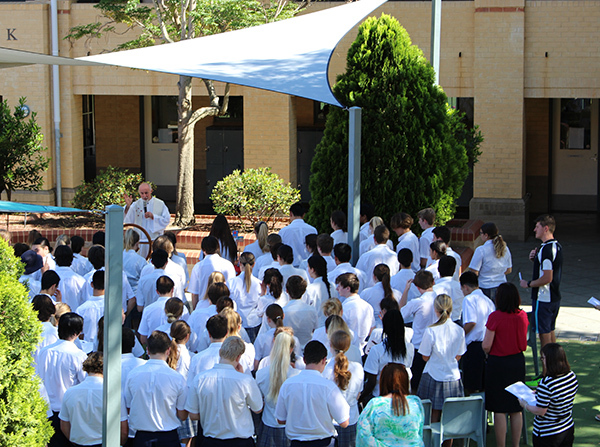 Friday, March 23, marked the 25th Anniversary of Mater Dei College as a Catholic School in Perth. As a college, staff and students, we were fortunate enough to be part of this special event, and were able to celebrate it with our annual Foundation Day. To begin the day, we were blessed to have his grace, Archbishop Timothy Costelloe, here to celebrate our Foundation Day mass, along with Father John and our past school Chaplains. The mass provided moments of valued reflection of Mater Dei’s past 25 years and we look forward to the coming years. We were also lucky enough to have the Foundation Principal Mr Bernie Boss and members of the Foundation Staff and Board present on this memorable day. I’d like to take this time to thank Mrs O’Neill, Father John, Mr Basile, Mrs Byrom-Carter and the students in the band and choir for their efforts and preparation for the mass. Also, thank you to Mrs Cooper for the 25th Anniversary cake and for the Student Leadership Team and tour guides for escorting our special guests that morning. 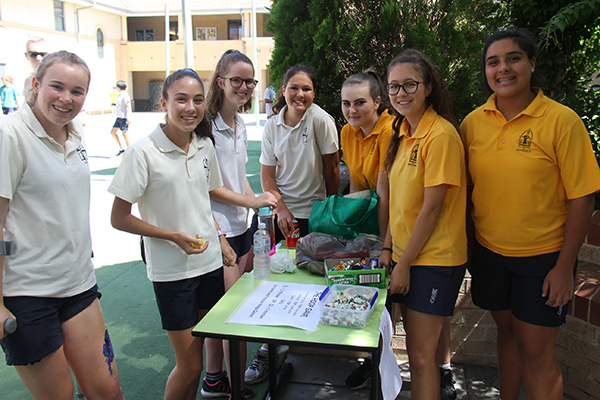 As the day progressed, the College took part in raising money for Caritas by spending money at the stalls set up by each homeroom. Students were given the opportunity to buy recess and lunch, play in games, including House Activities, and take part in the infamous “slip ‘n’ slide”! I’d like to take this opportunity to thank all the students and staff from each homeroom for supplying fantastic stalls this year. A big thank you to Mr Watson, the Home Economics Staff and the Treetop Café Staff for preparing the food stalls, and to Mrs Sampson and the P&F for cooking the BBQ. Also, a massive thank you to Mr Byrne and the House Advisors for organising the House activities, and to the P&F for our icy poles and gifts for the 25th Anniversary. Thanks also goes to the Maintenance Team for setting up the hall and helping out with packing up the stalls and a shout out to Guy for providing the music throughout the day! To finish off the fantastic day, the whole school assembled to watch and support the 12 courageous performers, who certainly wowed us with their talents. I think we would all agree that the brilliant staff members’ performance was one of the highlights of the day. I’d like to thank all the students, staff, performers and judges for their participation and to Jamie, Marta, Ryan and Blake for their help throughout the concert. Also, a big thank you to Mr Schneider for organising it every year and for putting on a great show. The Office Staff kindly counted up all the money raised for Caritas, and, as a college, we managed to raise $7425. Lastly, thanks to Mr Byrne and Mr Sullivan for the whole coordination for the day. We know how much planning goes into this day and the whole college appreciates your efforts. To all the students and staff behind the scenes who I haven’t mentioned amongst this list, we also thank you. 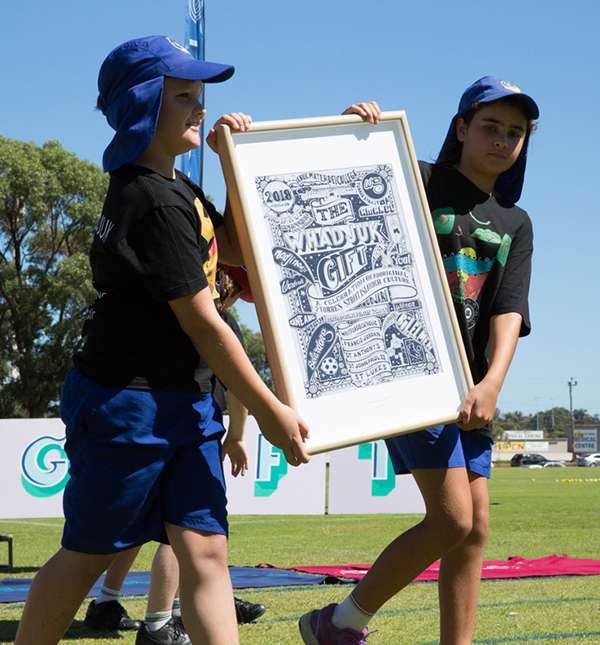 On March 28, Mater Dei College hosted the inaugural Whadjuk Gift, an initiative that celebrates Aboriginal and Torres Strait Islander culture. The event involved five of our feeder primary schools, St Anthony’s, Whitford’s Catholic, St Luke’s, Francis Jordan and John Paul II. Roughly 400 students participated in the event including Mater Dei College students. The work for this project began five months ago. The primary schools were asked to design a t-shirt based on Aboriginal and Torres Strait Islander nations or language groups and were given a wooden t-shirt to design and bring to the day and were planted in our front garden on mass creating a sea of t-shirt designs. Leading up to the event one design was chosen for each nation and printed on a t-shirt. We had 17 nations represented including the 14 Noongar nations. The designs were printed on the front of the t-shirts, close to the heart and worn on the day. The aim of this community based project is to develop a sense of pride in Aboriginal nations. The students participated in a Smoking Ceremony, Welcome to Country, say G’day to Eddie tour (our large mural installed for the day) a range of Aboriginal games and finished off with a spectacular dance off between the schools. A large number of Mater Dei students were involved in the day and were wonderful ambassadors of our College, they should be proud of their efforts. 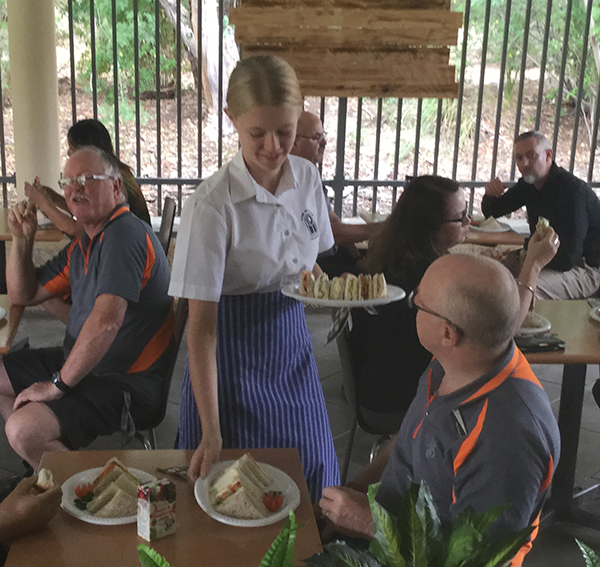 The Year 11 Hospitality classes ran two café functions. Catering in Café 107, the students prepared and served over 40 staff with both morning tea and Lunch. I would like to take the opportunity to acknowledge the Home Economics Department Assistants staff during this celebration of our subject area. 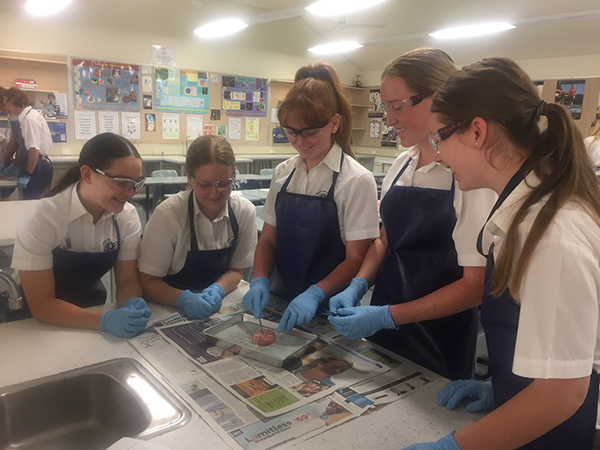 We have three outstanding, caring and passionate assistants in Home Economics that support not only our subject but the whole school in many ways. Mrs Donna Cooper, Mrs Peita Ross and Mrs Jo Lauchlan are an asset to the department and to the school. Thank you ladies! 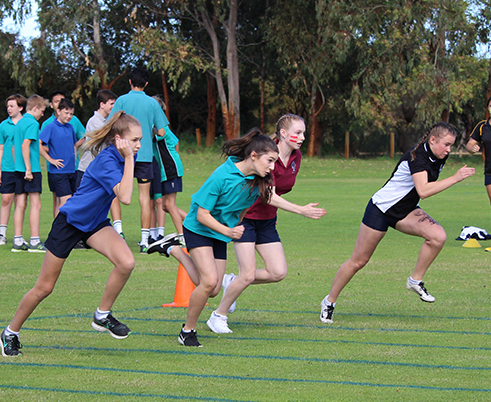 The Years 7 - 12 Inter-House Athletics Carnival will be held at Mater Dei College on Friday 11, May and is COMPULSORY for all students. 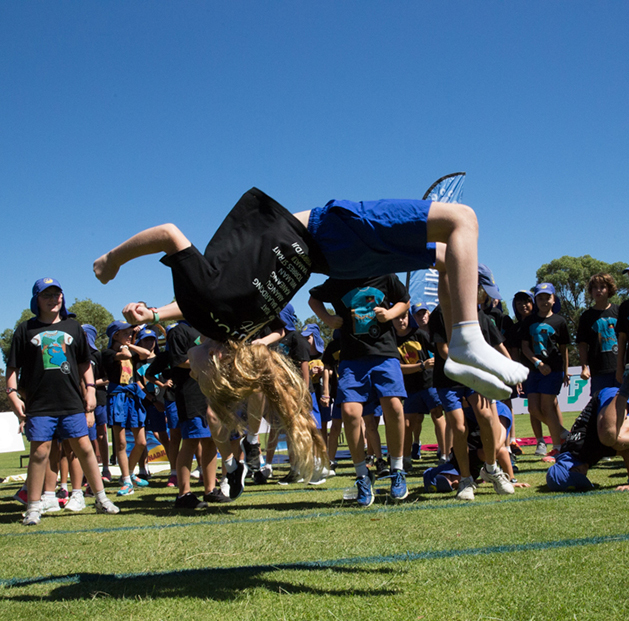 The carnival program is designed to accommodate students of all athletic ability levels and is not an ‘elite-athletes only’ carnival. The events provide numerous opportunities for participation and achievement. Therefore, ALL students are expected to participate and contribute to their House spirit. Should the carnival be cancelled due to inclement weather, students are expected to attend and be prepared for a normal Friday timetable. If cancelled, the alternative date for the carnival will be Monday, May 14. For more information please refer to SEQTA. 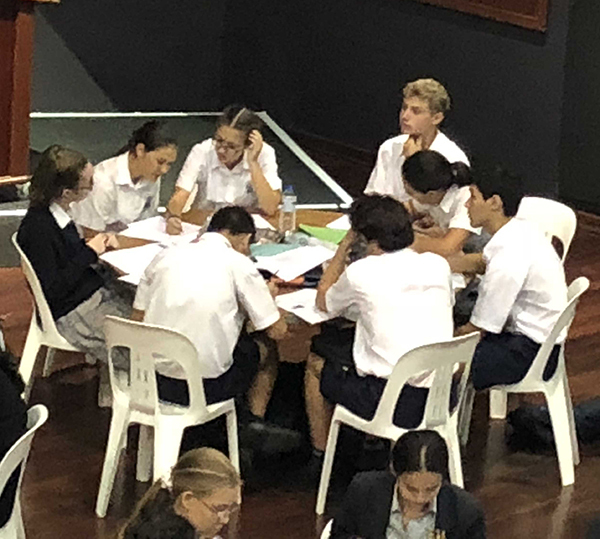 On Friday April 6, a group of eight Year 10 Students travelled to Wesley College to participate in the da Vinci Decathlon Challenge. Another team of Year 8 students also competed on Tuesday April 10. Teams spent the day competing against 12 other schools in a variety of subjects including English, Maths, Science, Engineering, Art, Poetry, Code Breaking, Ideation, Cartography, Drama and General Knowledge. The atmosphere at the event was exciting, and certainly challenged each student to draw on their own unique academic skills while working together as a team. One of the most exciting parts of the challenge for me, was performing in the ‘Creative Producers’ event. Our group of three was given a scenario and then asked to perform what happens next. The 90 second drama act was very funny and an amazing experience to say the least! Although our two teams did not achieve in the top 5, we feel we did extremely well as this was our first time attending the competition, and most other school team members had been to many Decathlon Challenges over the years. 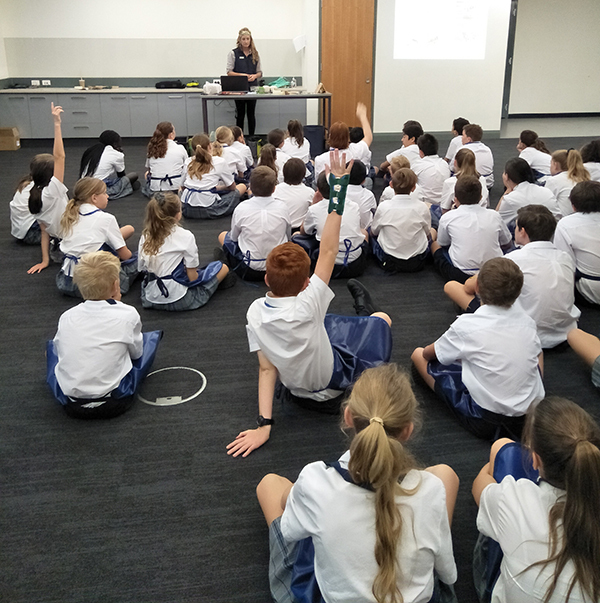 On Thursday 5 April, 140 Year 11 students, along with 8,000 other students from schools around Perth attended the RAC B Streetsmart Event at the Perth Arena. 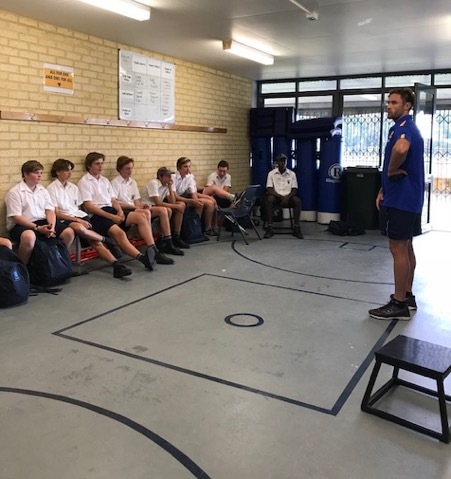 The purpose of the day was to make young adults aware of the rate of fatalities and injuries of young Western Australians, and what we can do if we are involved in a car accident. In the first half of the presentation, we watched a re-enactment of a car crash. The accident occurred due to distraction of the driver, and resulted in one fatality, a serious injury and an arrest. This very life-like re-enactment opened the eyes and impacted most, if not all of the students. It made us realise how dangerous the roads can really be, which as a result, is going to make us more conscious when driving. During the second half of the presentation, we heard from a variety of people, including two road crash victims whose lives have drastically changed – one who was a Quadriplegic and one who lost not only his legs, but his three best friends, the chief doctor of a road trauma unit and a flight emergency response personnel. The personal stories and raw images shared by each of these presenters sent chills up everyone’s backs and gave an insight to the hazards of dangerous driving and the harsh realities that not only road crash victims but their friends and families are faced with. It led us to really think about the consequences of reckless driving and how it can determine the rest of our lives within a millisecond. We would like to thank Mr Green and staff for giving us the opportunity to attend the RAC B Streetsmart Event. It was extremely worthwhile and eye-opening for all who attended and I can guarantee that we will all be a lot more cautious when driving. 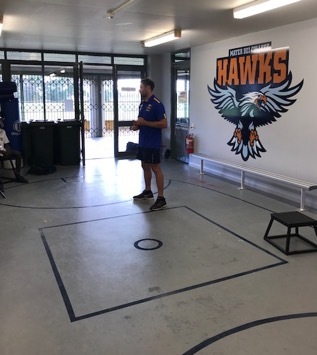 During Week 11, our year 9 footballers received a surprise visit from Mark Hutchings from the West Coast Eagles. 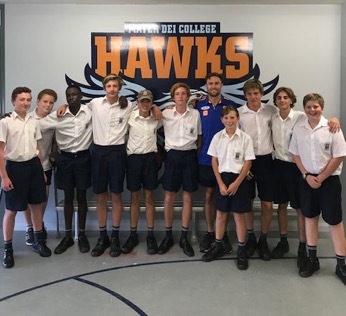 Mark attended the College for a guest speaking session, as part of the Hawks Leaders Program, where members of the Footballing community provide leadership advice across all facets of life to our young footballers. 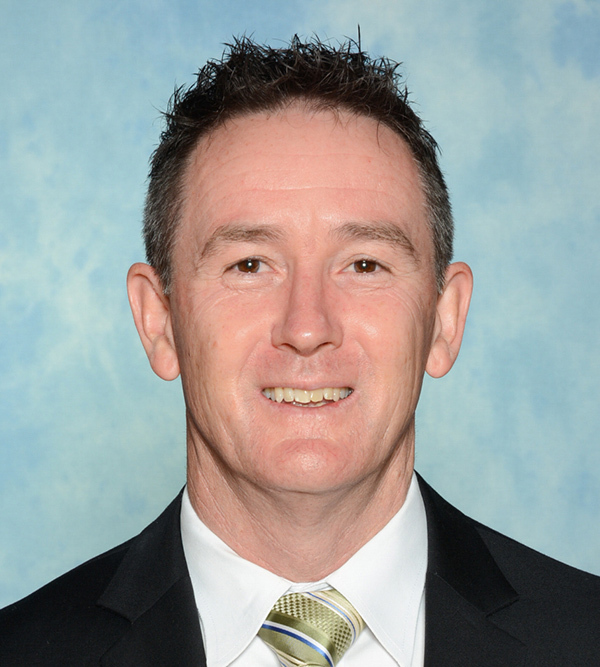 He touched on the importance of hard work and discipline, which he had to thank for his current position at West Coast. Mark was recruited by the St Kilda Football Club as an 18-year-old and delisted a year later. The value he placed on commitment towards improving his footballing skills, is he what he attributed to his opportunity at the Eagles. Mark made it quite clear that in the coming years he wants to see the students within our Football Specialist Program rise to the challenge of achieving academic goals. A great example to our students, as he explained that he is currently completing his Exercise & Sport Science degree, as part of, his plan to become a Physiotherapist after football. A fantastic experience for our young footballers. 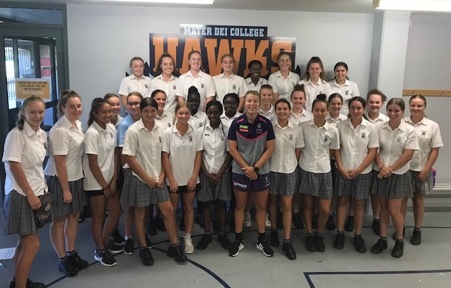 The Year 9 & 10 female students of the Mater Dei College Hawks Football Specialist Program, had the opportunity of meeting Fremantle Dockers Women’s star Kellie Gibson in Week 10. 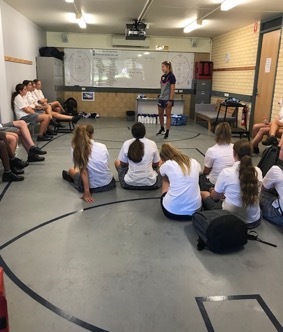 Kellie was invited to the College as part of the Hawks Leaders Program and certainly offered the girls some good advice on being successful. The Hawks students were all ears throughout the experience and took their opportunity to ask some important questions. A big thank you to Kellie for making time to appear at the College, as she had the Fremantle Women’s Best & Fairest to attend only hours later. 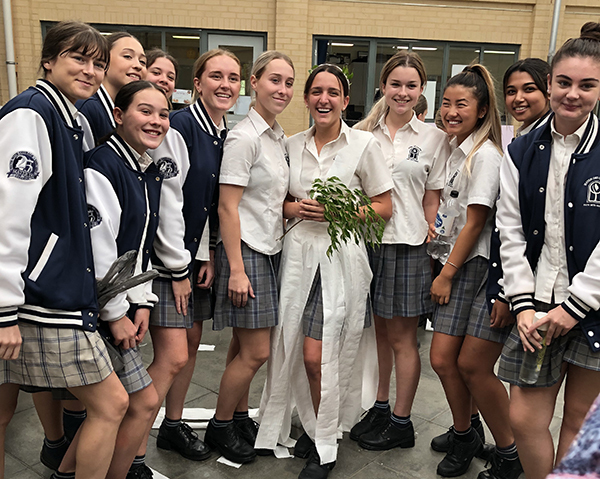 This week our Year 7 Science classes were treated to a Bee Incursion presented by Laura Folan, who graduated from Mater Dei College in 2008. The students learned a lot about the native bee population of Australia and WA in particular. Did you know that in WA two native bee species are threatened with extinction and only 10% of native bees actually sting!?! 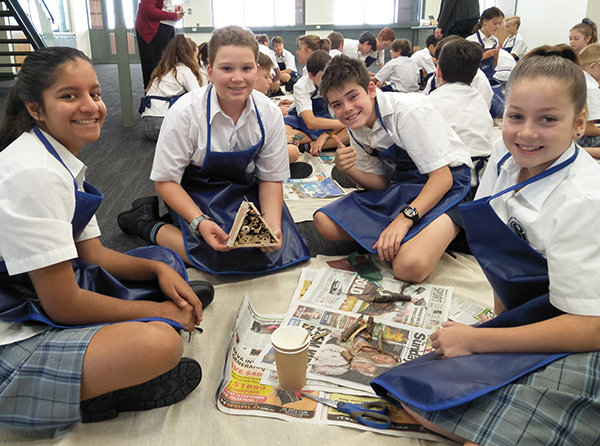 Students enjoyed the hands-on experience of building a mini-bee hive for their gardens out of plywood, glue, clay, bamboo and twigs. Once they hang their bee hives, students can monitor bee activity in and around their hive and report their observations back to a PhD student at UWA. With the help of students like ours, about five new species of bee have been identified already in WA over the last twelve months. Our thanks go to Earth Assist for providing such a wonderful conservation activity for our students. 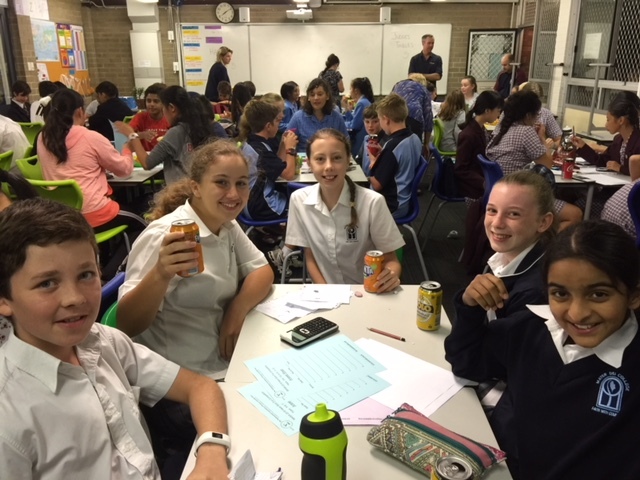 Mater Dei sent two teams of Year 7-10s to complete in the annual Have Sum Fun competition, which is run through the Mathematics Association of Western Australia. Students competed on a Friday evening on a range of advanced mathematical topics in a quiz-night format. Both teams performed highly and the senior team, consisting of five Year 9 & 10 students, placed 2nd among the Schools from the Northern Corridor. A big thank you to Mrs Yulia Koh and Mr Matthew Kameron who supervised the teams in the competitions. 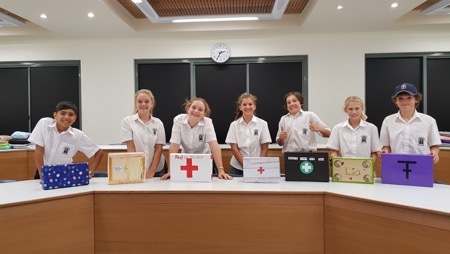 Our assessment task was to create a resilience/first aid kit. It required things we would need to recover from bad self-esteem, like something to read such as an inspirational poem, book or quote, something to listen to like your favourite song or a podcast, something to watch, a poster of your favourite movie, something to eat, like a healthy snack, something to smell, like a scented candle and something to feel such as a stress ball. Tickets are $10 and can be purchased here. The ticket price includes pizza and a drink. 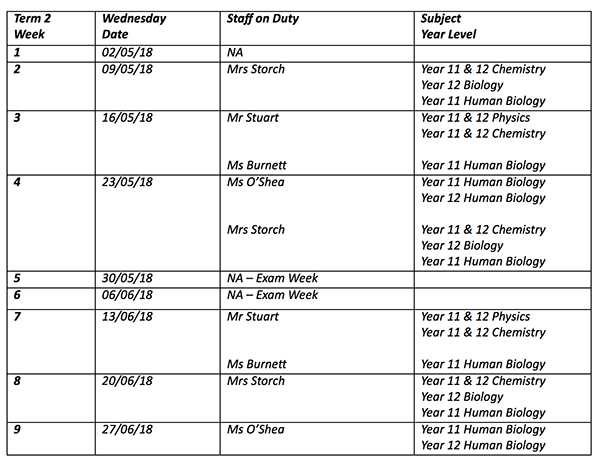 Any Year 11 or Year 12 student who would like some additional help with their upper school Science subjects, please feel free to come along to the sessions indicated below. The teachers listed below will make themselves available on their scheduled date from 3:30 – 4:30pm in Siena 6 (next to the Science office). These sessions are designed for you to ask questions or review concepts. Please note, they are not designed for the teacher to prepare additional notes or resources for you. colour of a room affects the ability to study, what the best study techniques are for different types of brains, how to improve handwriting and useful software and apps to block students from technology distractions. 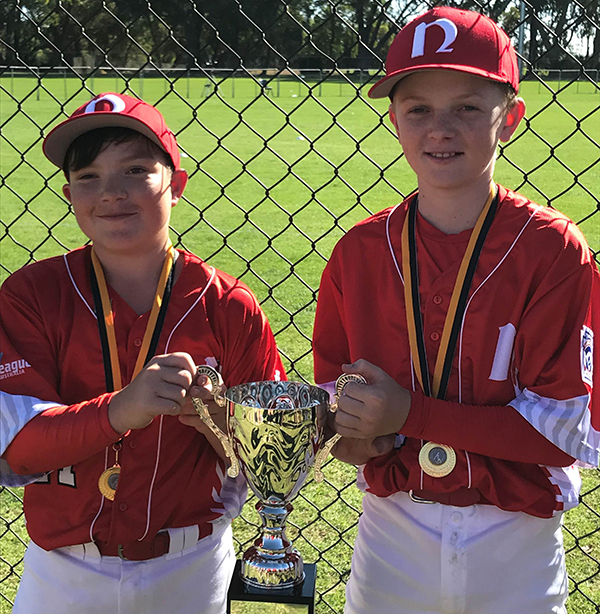 Sean Escott’s baseball team won the WA State Baseball Championships over the weekend and have qualified to participate in the Australian Baseball Championships in Lismore in May. Sean and Riley Burke (Yr. 8) were selected to be in the team. 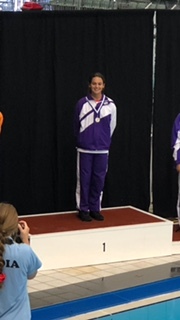 Natalia Caloiero competed in the Synchronised Swimming WA State Titles mid-March and placed first in all her events (13-15 Figures, Solo, Duet & Free Age Combo). Natalia also competed in the Nationals Synchronised Swimming Championship held in Queensland during the Easter Break. Sam Ferguson (Yr. 9) has been awarded his Bronze level card. The Mater Dei Senior Boys Cricket Team made it into the final stage of the competition which was played at Peet Park, Kewdale. The first game was up against Frederick Irwin A.S. in the semi-final. Mater Dei College won the toss and batted first. Unfortunately, it was a bad start losing a few early wickets consistently throughout the middle overs. The batting did not improve, finishing to be all out for 106 from 19 overs. Riley Holly was the standout batsmen making 61. The Team had to bowl well to defend the total but it never looked promising with Frederick Irwin chasing the total down in just 8 overs. Elliot Morris was the pick of the bowlers with 1/28 off his 4 overs. This meant Mater Dei College would play SEDA school in the playoff for third spot. We lost the toss and were sent into field. The Team kept SEDA to 134 from 20 overs. Thomas Snelson finished with bowling figures of 3/17 from his 3 overs and Isaac DeMarte, 3/20 from his 4 overs. The decision to shuffle the batting order around didn’t help as there was a loss of early wickets and a struggle to form partnerships. The Team ended up falling short making 8/122 after 20 overs. Cameron Demiris was the standout with the bat making 37 not out. It was a disappointing end to the year but a great effort to finish 4th in the state as we hope to try and go better next season. The Mater Dei senior basketball squad earned their second victory as they faced off with Yanchep in the eagerly awaited 2nd game. As this game was their first home game they didn’t know what to expect. Wth a sense of school pride, we all wanted to protect home court and win, which we did in a 29-70 victory over the young Yanchep team. During the game, the team became more of a cohesive unit as the chemistry between members increased. The results were impressive as we were able to hit some deep three pointers and some fancy dunks from James Mitchell. Mater Dei’s Basketball team have continued to set the tone for the season, and as it stands, we are still undefeated and we would like to keep it that way. Earlier this month, the senior girls’ basketball team played their first match away against Butler College. New team members were welcomed this year including the upcoming year 10 students that contributed largely to our 38-0 win over Butler. Natalie Bennett (Yr. 10) had an outstanding game with her shooting being a major highlight. All of the girls worked well as a team throughout the game. The spirit amongst the team was encouraging with all the girls supporting each other as well as our coach, Mr Green, motivating us throughout the game. Our next game is against Woodvale Secondary College at home, we look forward to the challenge ahead. Join us for our 2018 Science and Engineering Information Evenings to find out how your aptitude for maths, science and technology could lead to a successful STEM career and prepare you for the global workplace of tomorrow. ECU’s School of Arts and Humanities invites you to join our Short Courses for Credit Program on Monday, 25 June – Friday, 29 June 2018. These FREE courses are designed to introduce high school students to university life, offer an engaging, hands-on experience in a discipline of their choice and give them a head start at university. These week-long specialist courses cover areas of study offered at ECU, promoting aspirations for tertiary education. Students gain a deeper understanding of the way university works, helping them to overcome any anxiety they might have about higher education. Students develop self-confidence and public speaking skills, team work and group collaboration techniques and produce high quality written and digital works. They expand on skills that support their school work and come to discover that university is an option they might not have considered before. Importantly, students who pass the requirements of these courses will receive Advanced Standing (credit transfer) for a first/second year unit, once gaining successful admission to an applicable ECU undergraduate course. This means students will save time and money before even commencing their university studies. Registrations for our Term 2, 2018 Short Courses for Credit Program are now open. Please register via the School of Arts and Humanities website. Blazers will be ready for collection at the end of Term One, you will be advised when they have been delivered to the shop. Could you please finalise payment for the Blazers before collection, this will alleviate congestion of students collecting their Blazers? Payments can be made by cash or Eftpos/Credit card at the Uniform Shop. The opening hours are Monday 8-11.30am and Thursday 12.30-4pm.